Tuesday Strummers is a daytime ukulele group led by Clara. We meet at Harford Community Centre, Norwich 11.30am-12.30pm during school term time. We're an informal, friendly group for those who wish to come along, join in where and when they can and sing along to well known songs. ​Improving your playing comes naturally over time, and is a positive side effect of Tuesday Strummers! You won't need to know many chords - many songs are good old C, F & G7. Some songs are a little harder so If you find it hard to get your fingers around a Bb, for example, just miss out that chord for now and practice it at home. Nobody is judged on their ability and if you want to sit a song out, feel free. Clara will be there each week to provide tips and tuition. Please arrive at 11.30am and help yourself to a tea or coffee in the kitchen, the strumming starts at 11.45am. The cost is £5 per session. Summer term will be 10 weeks. You can choose whether to attend every week or any 5 of the sessions. For more info please contact Clara. 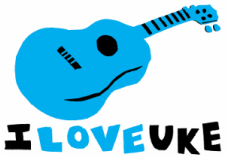 If you're completely new to the ukulele we recommend you attend our Beginners Course first, or book a couple of one-to-one sessions. Please contact Clara for more info.